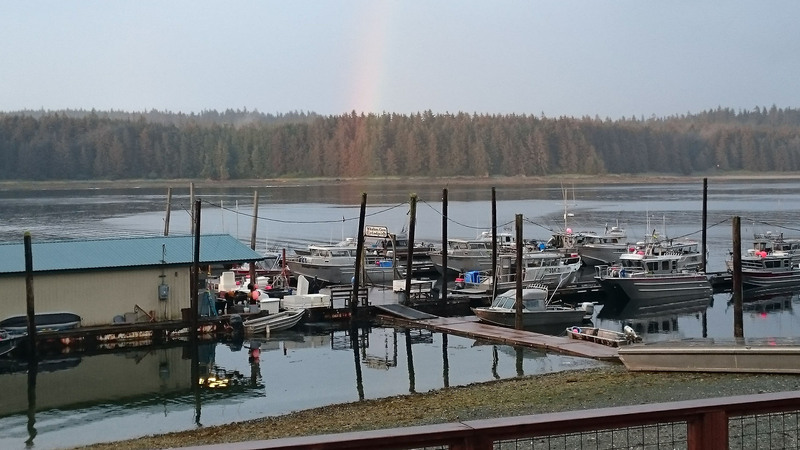 Experience “Real” Alaska and join Pete Gray and Harold Davis from Davis Boats on a fantastic adventure to Whalers Cove Lodge in Angoon, Alaska. The calm waters around Whalers Cove are a hundred miles from any large towns, so you can enjoy a wilderness adventure without any crowds. 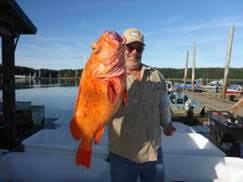 At Whaler’s Cove Lodge, you will enjoy the best salt and freshwater fishing in Alaska and have it all to yourself. 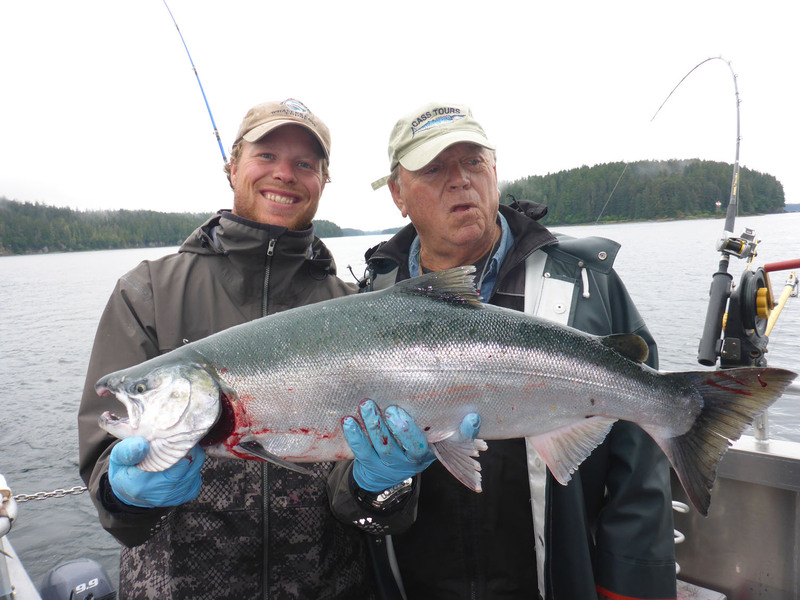 There is no need to run for hours as you can find productive fishing for salmon, halibut and rockfish just 10 minutes from the lodge. 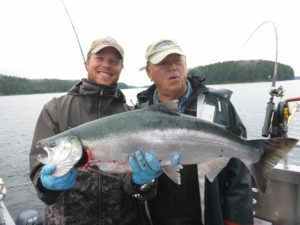 On our trip, you will have the option to fish saltwater aboard their spacious boat fleet, or fish one of hundreds of freshwater lakes, streams and rivers to experience a true Alaskan adventure, or a combination of fresh and saltwater- you choice! You can choose fully guided trips by their expert staff or you can self guide and drive your own boat (experience required). 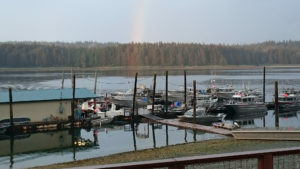 You will have the opportunity to spend an afternoon in Juneau, or if you choose to come in a day or two early to see or the sight in Juneau and close by Glacier Bay, that is your option. 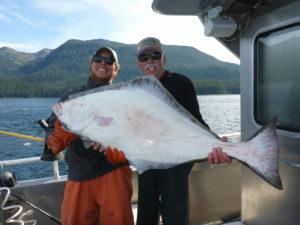 All Whalers Cove trip will depart Juneau, Alaska early in the morning you and be fishing usually by 9am. You will need to be in Juneau the night before your trip begins. You may also want to extend your trip from Juneau to see nearby Glacier Bay or other Alaska sights. 3 day package is $3040 for fully guided, $2730 for self guided, 4 day is $4025 guided and $3613 self guided. Packages are all inclusive, only your air to Juneau, one night hotel in Juneau and tips are extra… a very low price for a remote Alaskan experience like this. Our group will receive a free extra fish box $150 value and only our group will be able to mix guided and self guided trips if you choose. Group is very limited and it will sell very fast,so book early.